Flight sim company FlightSimLabs caused controversy earlier this year after embedding malware in its software to tackle piracy. Now the company is at the center of a new storm after unhappy users on Reddit reported anti-piracy files being installed into Windows systems folders. In response, FlightSimLabs have threatened Reddit mods with legal action, for not doing enough to tackle ‘libel’. For reasons only known to the plaintiff, an American psychiatrist offering unlicensed services in Japan is suing a whole bunch of Redditors for defamation. 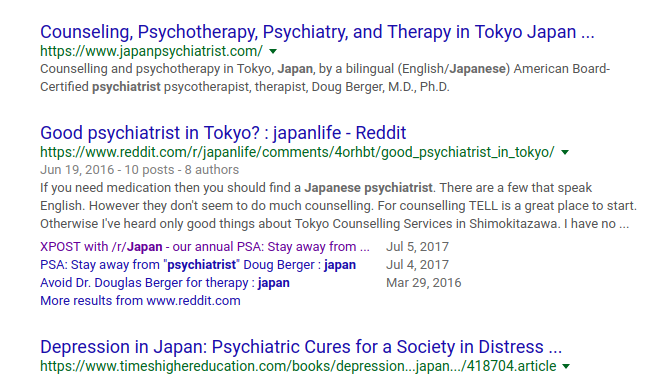 The underlying reason for this lawsuit is obvious: searches for Dr. Douglas Berger or psychiatrists in Japan tend to return lots of links presumably owned by Dr. Berger, but more prominently, a bunch of warnings from Redditors at Japan-focused subreddits to steer clear of his psychiatric services. In what appears to be a retaliatory move against DMCA notice archive Lumen Database, anti-piracy outfit Remove Your Media has launched a transparency report of its own. The report lists people who have sent the company DMCA counter-notices but it goes much further than Lumen by publishing their names, addresses, and telephone numbers. Well, here’s something to speculate about. On Thursday, Reddit posted its latest transparency report concerning government requests for user information or content removal. This is the second such report, following its 2014 report. As one Reddit user quickly noted, the 2014 transparency report had something of a “warrant canary” concerning National Security Letters (NSLs). However, no such line is in the latest report.